Get the original sidewalk surfer style with these Sanuk Donna canvas shoes! This style features a textile canvas upper with elasticized gores for easy slip on and off. 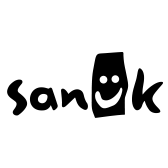 The Sanuk Donna has a yoga mat cushioned insole and a Happy U rubber sponge outsole for comfort.